Promoting travel to, from and within Switzerland. Serving as Independent Agents for Major Travel Operators. Offering a comprehensive selection of Flights, Hotels and Car Hire options. 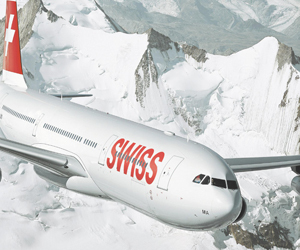 Fly Swiss to Switzerland, the National Airline and your natural choice for travel to and from Zurich, Geneva and Basle. And with the minimum of fuss and inconvenience, you can continue your journey to countless other destinations with Partner Airlines in the Star Alliance Network. If you've found a flight and are still looking for a room, continue your search here with our selection of the some of the best-known accommodation providers in Europe and around the World.